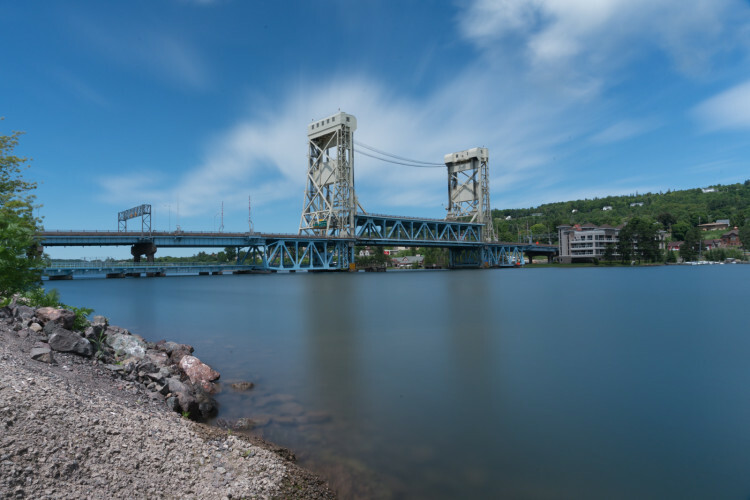 I’ve always thought the lift bridge in Houghton, Michigan looked really cool, but I had not seen it in person since I was very young (and I don’t remember actually seeing it, but we had to cross it to get the Copper Harbor, so I know I’ve seen it). The bridge has two decks and used to support both automobile and train traffic. Originally the lower level allowed trains to cross the Keweenaw Waterway (Portage River/Portage Canal) while automobiles would use the upper level. When boats needed to cross, the bridge would need to be raised. When the Upper Peninsula was a major copper supplier, trains ran frequently. However, copper hasn’t been mined here for decades and the rails are no longer really needed. To accommodate both boat and automobile traffic, the decks were changed so that both levels work for cars. Most of the time the bridge is now up so that most boats can travel underneath. If a larger ship needs to pass (which I believe is rare now), the bridge deck can go higher. 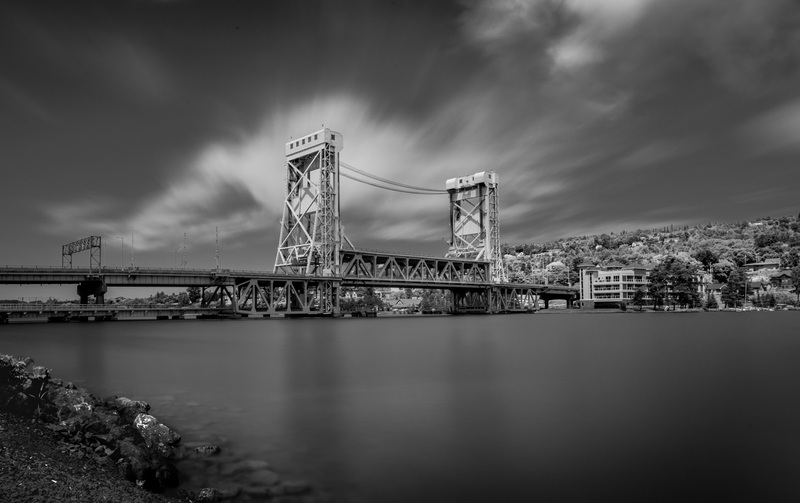 In the winter, when boat traffic isn’t required, the bridge is lowered and the top deck is used for cars, and the lower deck connects to allow snowmobiles to travel where trains used to run.